Dr. Liliam Nay, of Nay Dental Practice, offers a wide array of cosmetic dental services that include chair-side teeth whitening, to residents of Huntington Station and the surrounding area. "Quality is number 1 goal for all the staff. I felt like I was home there." "Minimal wait time, very clean office, amazing group of people!" "Highly recommended this office to my friends and family." "From the time I was greeted & seated to checking out the Nay Dental team was wonderful." Why Is Tooth Whitening Necessary? Teeth can be perfectly healthy even if they aren’t perfectly white, but whitening can make a big difference in the appearance of a person’s smile. Stained, yellowed, grayish teeth tend to age a person’s face; children are the only people who truly have pearly whites. Tooth whitening is a simple cosmetic procedure that can often be performed in one visit. Teeth age just as the rest of the body does; the outer layer of enamel becomes thinner over time. The underlayer called “dentin,” has a yellowish cast and can begin to show through if the enamel thins. People who drink coffee, tea or red wine are more likely to develop stained teeth, as compounds in these beverages called “chromogens” lay down color in the enamel. Other factors in stained teeth include certain medications, radiation or chemotherapy, and injuries to the teeth. Tooth whitening is essentially a bleaching treatment. Dentists use carbamide peroxide, which is a different product from the hydrogen peroxide found in at-home products such as gels or strips. Although a dentist can recommend an at-home product, chair-side whitening is much more effective because dentists can use stronger concentrations of bleaching products than those found in at-home treatments. Dentists also use lasers or special light treatments to increase the bleaching effect. Does Whitening Cause Problems or Side Effects? Repeated, frequent use (especially of at-home whiteners) can increase tooth sensitivity or even damage the gums. The increased sensitivity is usually because the whitener has gotten through the outer enamel layer. Yellowed teeth usually respond to a bleaching treatment, but grayish tones are less likely to be affected, even by chair-side bleaching. Deep stains may not respond to bleaching, as they are embedded in the tooth matrix. Bleaching only works on natural teeth, not prosthetic teeth like bridges, crowns, veneers or implants. At Nay Dental, we accept most major insurance plans. Please contact our office if you do not see your insurance provider listed. "I thought everyone was not only kind and considerate, but extremely helpful and informative!" "Great experience! Minimal wait time, very clean office, amazing group of people and very gentle and thorough hygienist. Will be a patient for a lifetime! Thank you!" 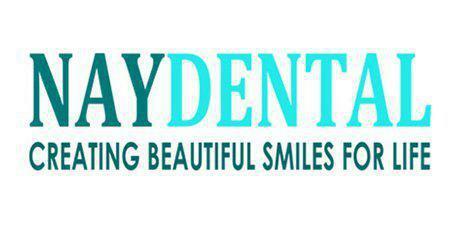 "From the time I was greeted and seated to checking out the Nay Dental team was wonderful. The office is clean, the staff friendly, caring and informative." "The Nay Dental team provided me with excellent treatment from Melissa cleaning my teeth to the Dr. fixing a broken tooth all in the same visit. No waiting."